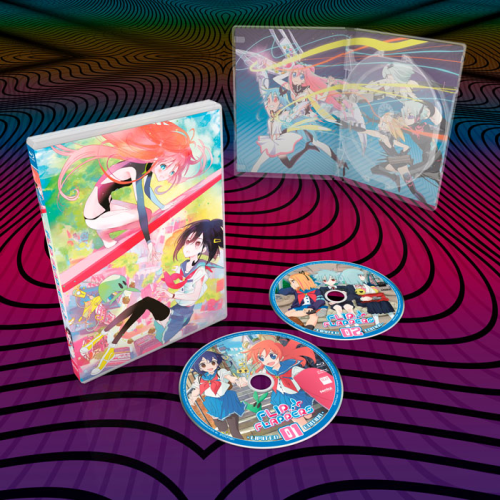 Fall in love with Cocona and Papika all over again as they travel to Pure Illusion with this beautifully designed collector's edition! 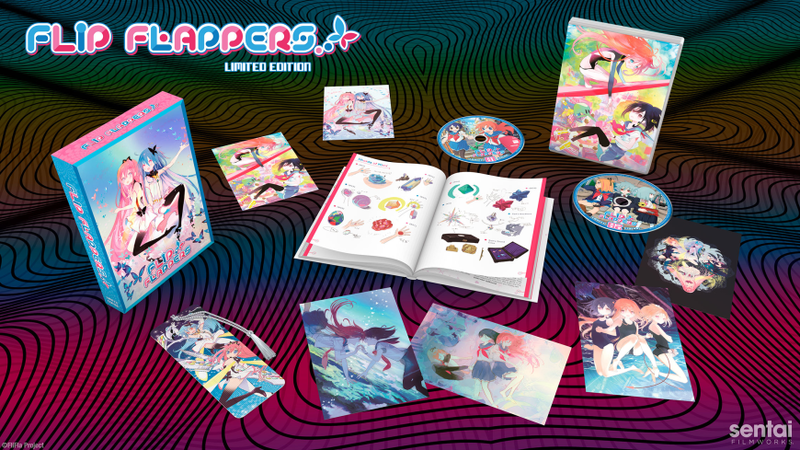 Claim your copy of this limited edition FLIP FLAPPERS premium box set today! 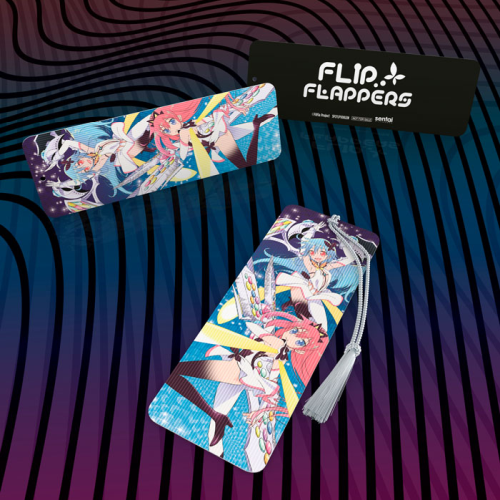 There is something here for everyone whether you like to read books, appreciate art, or just want to know more about the production of FLIP FLAPPERS. We got you. 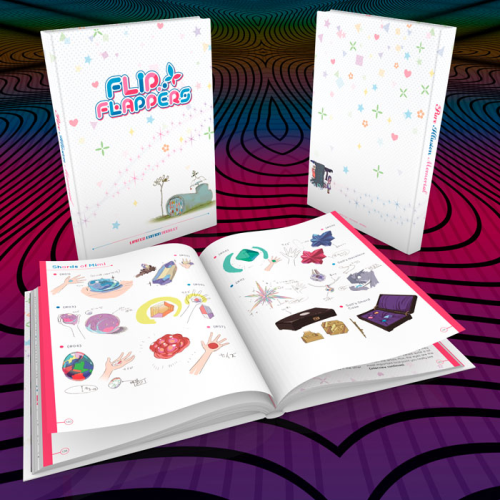 With over 280+ pages, this box set-exclusive hardcover booklet has a lot of information! It has character bios, the production's initial ideas on FLIP FLAPPERS, and interviews with the director. This booklet is a must-have for any die-hard fan of the series. These whimsical art cards highlight why we love the series: our favorite OTP, colorful backgrounds, and the surreal nature of the art. For the Cocona in your life, this bookmark will remind you of your favorite girls. It’ll bring you a smile when you least expect it. 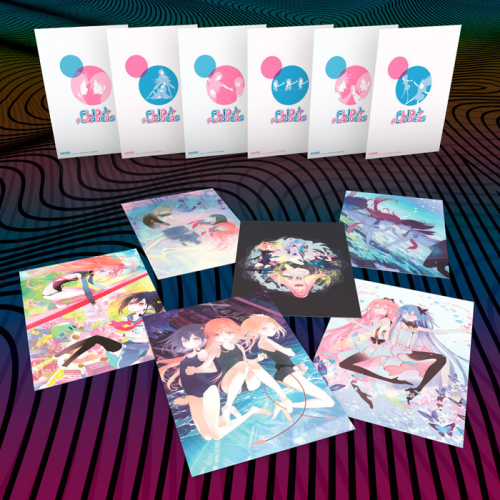 Get your FLIP FLAPPERS box set at the Sentai Shop before 11/26 11:59 PM CT and you’ll get an automatic 10% off! We can’t wait for February 2018 to get here.